Is It Worth Visiting Phillip Island Penguin Parade Near Melbourne? Is The Phillip Island Penguin Parade All It’s Cracked Up To Be? I’m slightly suspicious of ‘world-famous’ attractions. I’ve always wondered what the exact basis of the claim is. Are people surveyed (Family Fortunes style) in a number of different countries? How many nationalities need to know who you are before you’re considered world class? Who knows. What I do know is that a number of much-hyped attractions I’ve been to around the world have left much to be desired. 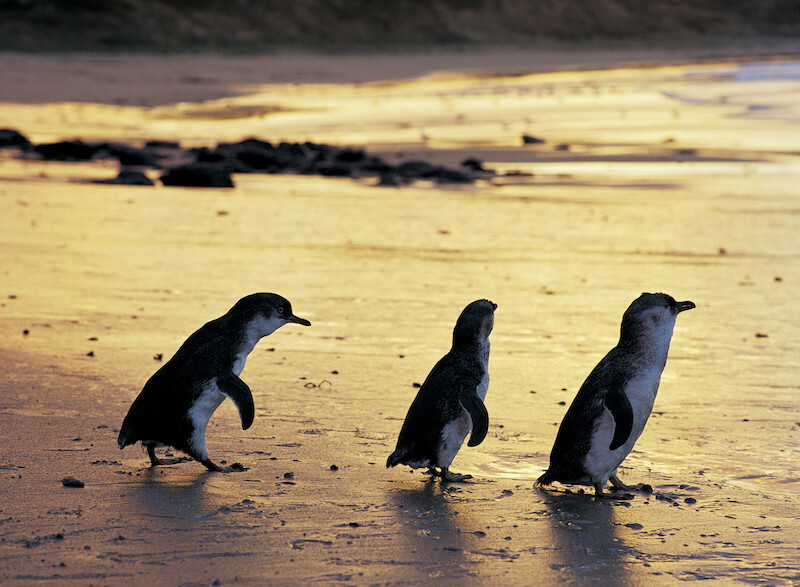 Thankfully, the world-famous Penguin Parade on Phillip Island is not one of them. Perversely, animals are not my thing. (Bit like farms, really.) But everyone loves penguins so I figured I should give them a chance to try and charm me, even if it’s just to write this. 32,000 of the little things call Phillip Island home, and I mean little – the fairy penguins in this colony are the world’s smallest. The Penguin Parade visitor centre helpfully shows how Phillip Island’s penguins measure up against the Emperor’s of the penguin world and basically the ones here are not much bigger than pigeons. They fish all day, hiding from predators in the deep waters, and only come to land at night – hence this ‘Penguin Parade’ taking place each evening when they come back to their burrows. When I learnt of their size I started to get a little worried – it’s night-time and I’m short-sighted, will I see a blooming thing? The centre was busy (I recommend you buy tickets in advance like we did) and teeming with many excited international tourists. (Aha I thought, here’s your world-famous bit!) There’s a cafe, gift shop and the penguin info displays to explore and then, at about 7.30pm, you’re invited to make your way down to the viewing platforms on the beach to wait for the penguins to come in. We purchased general viewing so had no guide or fancy private viewing area but there were more than enough seats for everyone and staff were on hand to answer any penguin related questions. There was also someone on a microphone giving us an update on when the penguins might surface – it changes depending on the time of year – and all the staff were great at escorting people to seats nearer the front and sides for better views. There was also the option to sit on the sand right at the very front but as we’d not come with anything to sit on we decided to forgo wet bums and squeezed into the third row instead. As it turned out, though, pretty much anywhere is a good place to see the penguins – once they decide to come in. About 8.15pm is when the fun started for us. First the sky wowed us with a striking pink sunset and then, as it started to get dark, the first few heads popped up on the shoreline. Contrary to my imagination, and what the name might suggest, the penguins don’t line up neatly in formation and parade past you 2 by 2. (Ok I admit, I was foolish to picture this – did I mention I’m not an animal person?!) 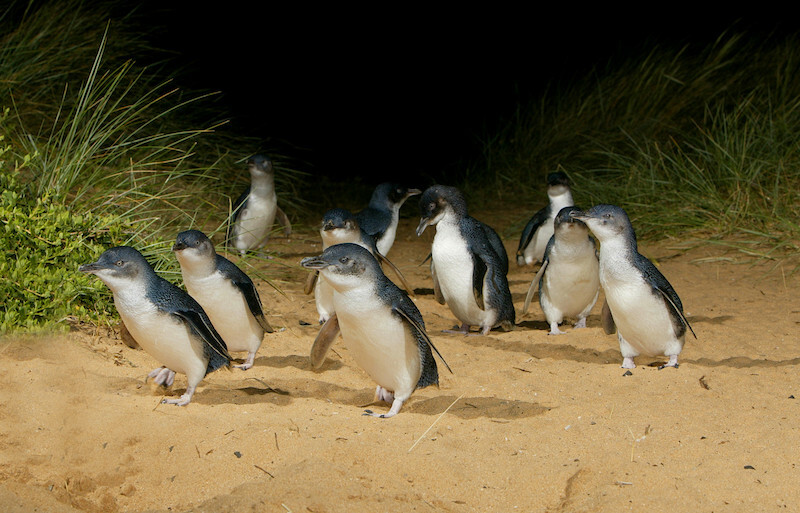 The fairy penguins are actually very cautious creatures and gather in groups, waiting for safety in numbers, before making a dash across the beach. Some of them are extra nervy, we watched them make it as far as the rocks in front of us and then chicken out, running back to the safety of the sea. But slowly, over a period of more than an hour, the colony start coming back home and you see their little bottoms waddle across the sand towards you. At this stage they are a little hard to see, especially if some overexcited visitors don’t follow the rules about staying in their seats. Don’t panic though. Sit back, relax, marvel at the strange habits of nature and then (approx. 30 minutes after the first batch waddle in) start making your way up the boardwalks as this is when you’ll get an intimate view of the penguins heading to their burrows in the dunes. There is something very captivating about penguins! This was the part of the experience, to be honest, that completely surprised and delighted me. I thought once the parade was over the penguins would be hidden out of sight and we would all go home, but, in actual fact, you pass them making their final journeys to bed as you head back to yours. All along the wooden boardwalks that take you back to the car, there will be penguins squawking and waddling their way to their nests. We probably spent more time here watching them head home to mate (tis the season) than we did down on the beach. So was the Phillip Island Penguin Parade all it’s cracked up to be? I certainly got more out of it than I expected. Even if the title did made me dubious! General Viewing tickets are $25.70 per adult. 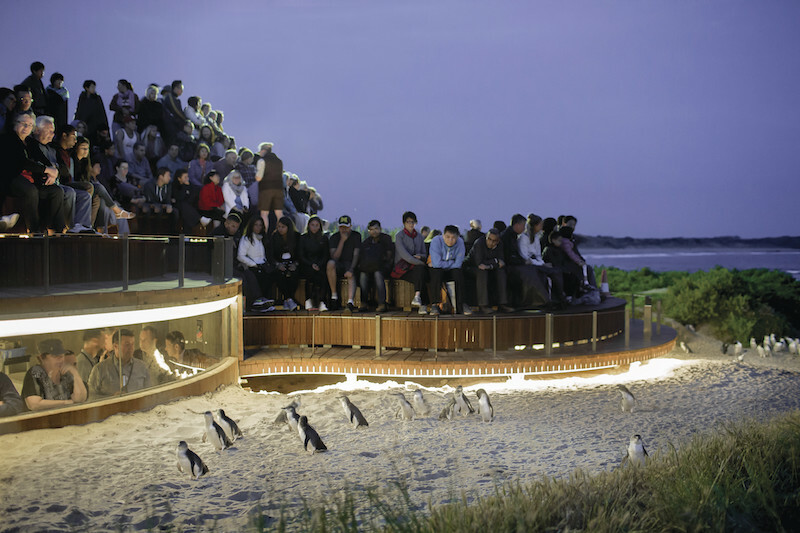 The new Penguins Plus and Underground Viewing platform cost $50 and $65 per adult respectively. 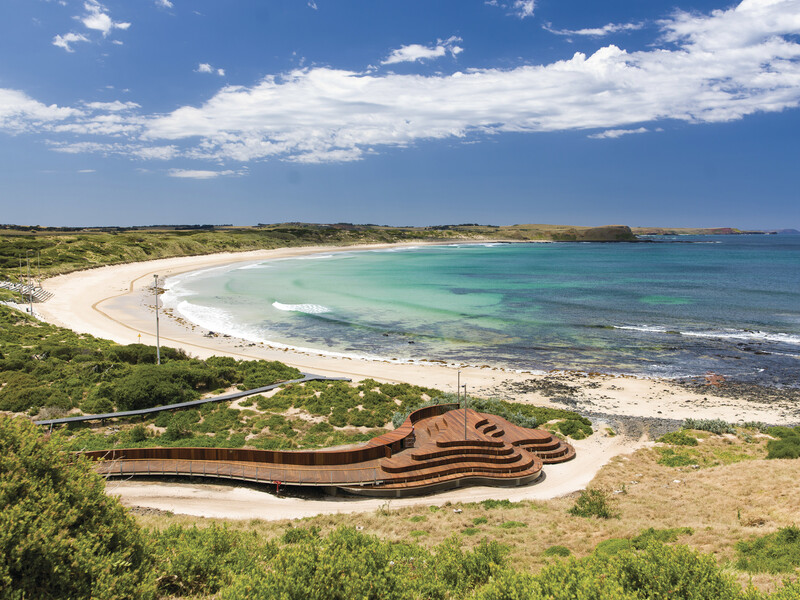 If you’re planning to spend a few days on Phillip Island it might be worth buying a 4 parks pass which covers Penguin Parade General Viewing, Antarctic Journey at the Nobbies, Koala Conservation Centre, Churchill Island Heritage Farm – from $58.00 per adult. All tickets can be purchased online. Phillip Island is approximately 90 minutes from Melbourne. Note: You cannot take photos of the penguins, all images of the Penguin Parade are courtesy of Visit Victoria. Our trip was self-funded and this review is not endorsed or associated with anyone mentioned. We were more than happy with our General Viewing experience but we did get there a little early in order to sit nearer the front. Don’t forget to take something to protect you from the wind – it gets a bit chilly down there after the sun sets! 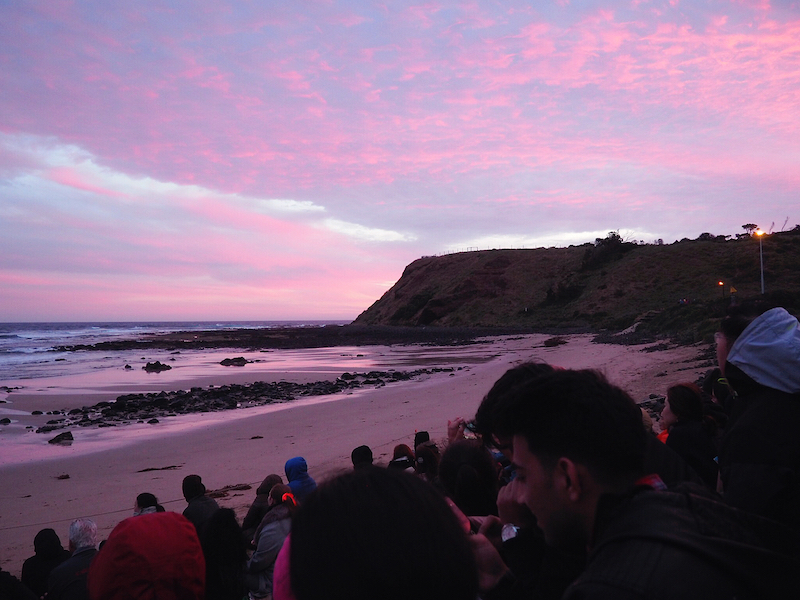 I saw the Penguin Parade on Phillip Island 22 february -19 and it was amazing. Remember it gets a little cold after sunset. I never thougt it would be so interesting as it was. Don’t miss this if you have a chance to see the penguins.